John G. Webster is a top-rated HVAC company in the Washington, DC Metro and has provides commercial & residential heating, cooling and plumbing services and equipment in DC, VA and MD. The COGO team worked with JGW to update their online presence with a professionally designed website that could attract and capture online leads. 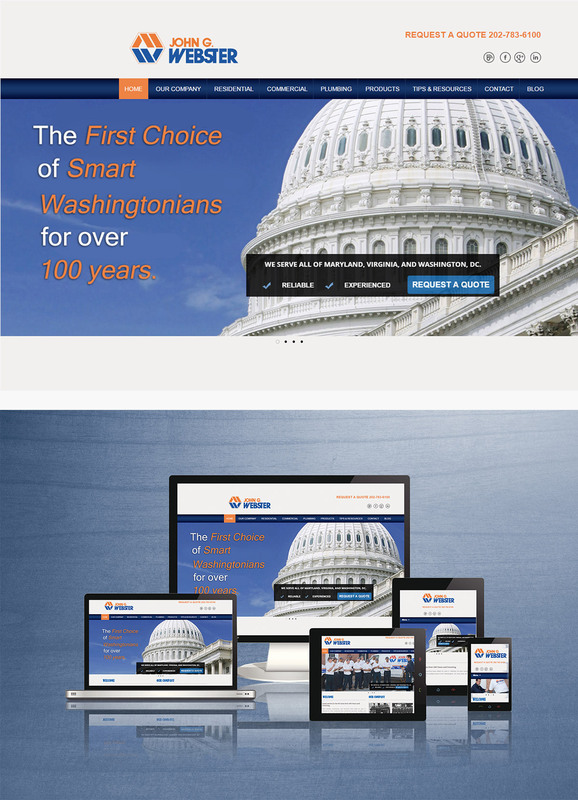 We then made sure the site was properly optimized for competitive Google searches and developed a blog strategy that would position them as a leader in DC’s highly competitive HVAC industry.